Inspired by Gobi’s awesome sketch from this post, I’ve declared this CASTLE OF OWLS WEEK at Vintage Ninja! 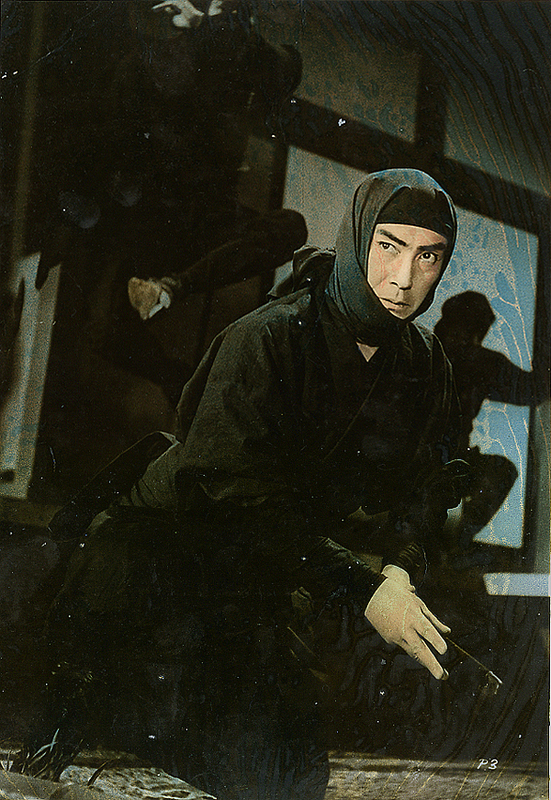 I’m not saying the 1963 Ryutaro Otomo action-drama is the best ninja movie ever made, but damn if it isn’t my absolute favorite. 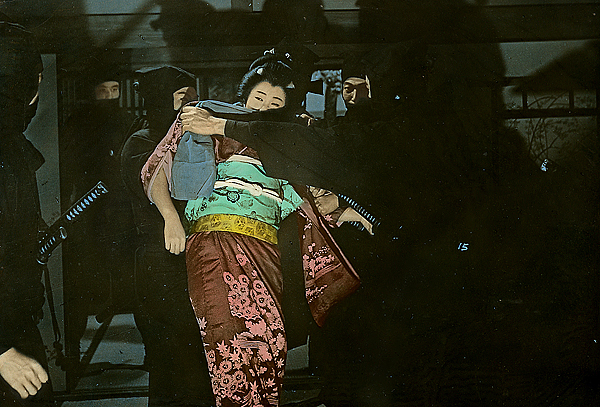 It’s pretty much in the top ten, if not top 5, of all of us shinobi-cinema-files, too. 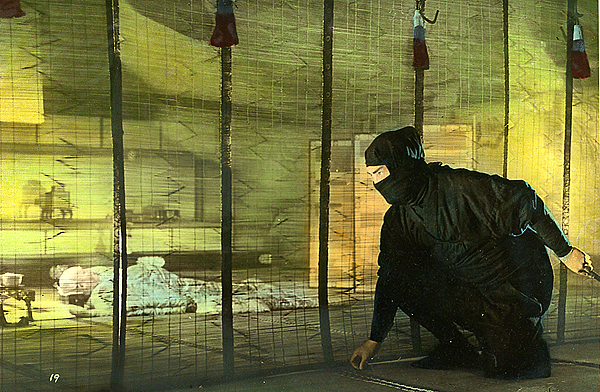 Castle of Owls (Ninja hicho fukuro no shiro) is set up as a pretty straightforward revenge tale, but turns into a great exploration of the often visited theme of the lone ninja trying to escape the shadow life. After the massacre of Iga, surviving suppa scatter across Japan, waiting for the day they can take their revenge on the Shogun. One (Otomo) does nothing but train, taking his skills to the next level. 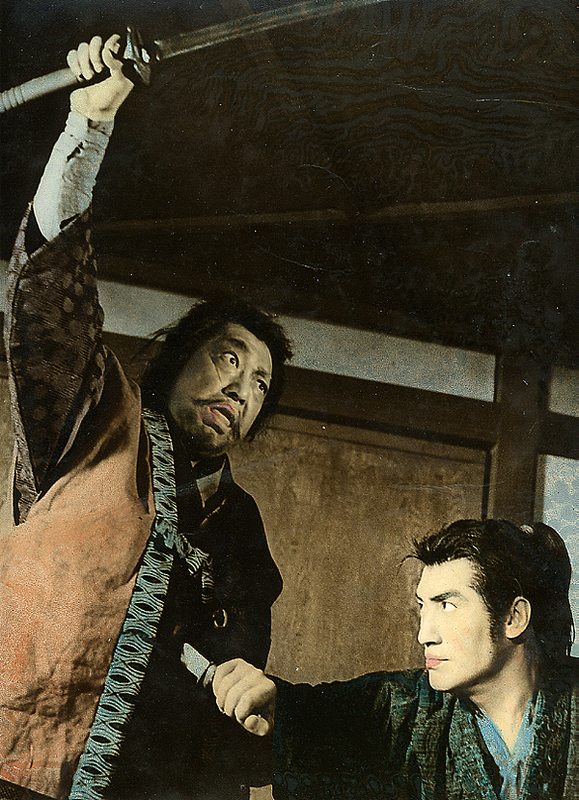 Another initially goes undercover as an ambitious samurai on a strong career path, but over the years sells out and actually wants the good life. After a decade, the time has come to strike, but can the stalwart Otomo succeed with a former blood brother now a motivated rival with an equal array of shadow skills in his way? Owls has everything: credible ninjutsu mixed with solid action, an engaging story, a great supporting cast surrounding Otomo’s star power, gorgeous cinematography and color… it delivers on all fronts. More about the movie later this week along with more vintage stills!